To design the packaging for the limited edition of the Walter Wolf cigarettes. 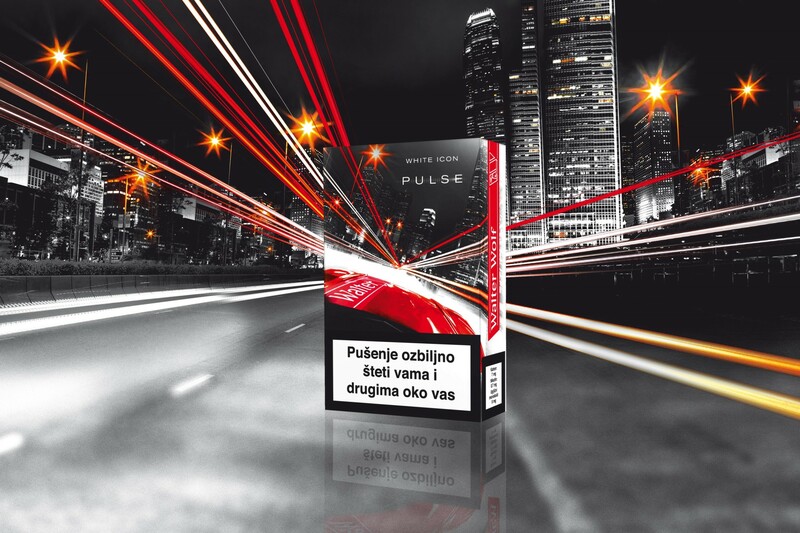 Pulse limited edition is intended for a younger, urban and more demanding audience. This is the reason why we have decided to portrait the speed, passion and individuality inherent to this brand as directly as possible. The view from a sports car racing through the streets, which is depicted on the package, is sending a clear message that anyone who reaches for the package is ready for an adventure that makes life more exciting, more challenging and worth living.